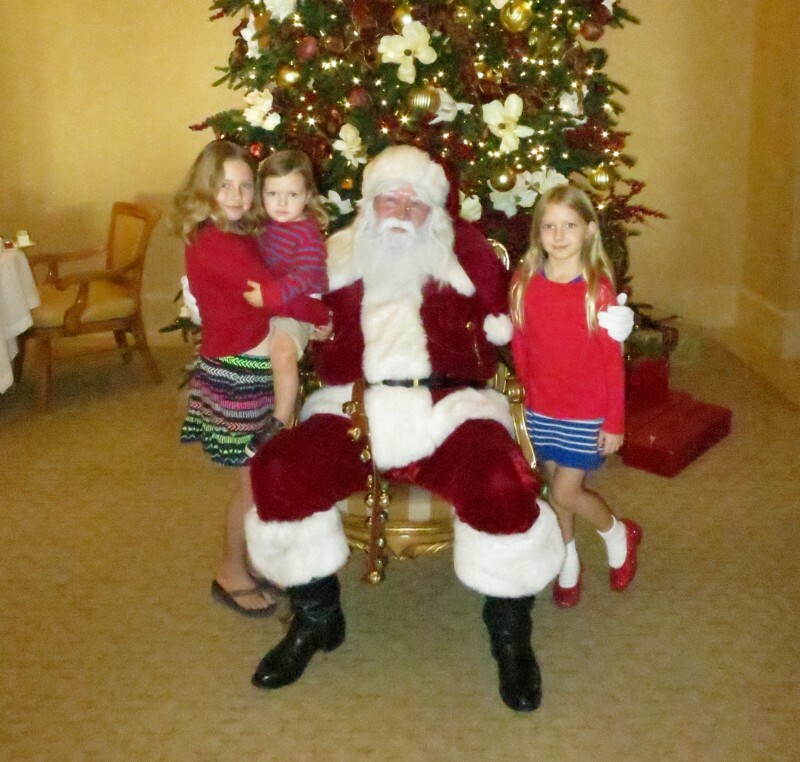 Since the last update was 2 months ago, we missed posting the traditional Santa picture. The quality of the photo is bad because the flash on my big camera wasn't working so I used the little point and shoot. Seems like we keep hearing of this thing called the Polar Vortex, some day I hope to experience it. Until then, hey, let's go to the beach! Bubbles never get old. As I was stitching the video together, Miles was on my lap squealing as he watched the video of the bubbles. Of course, we can always pretent it's winter out. 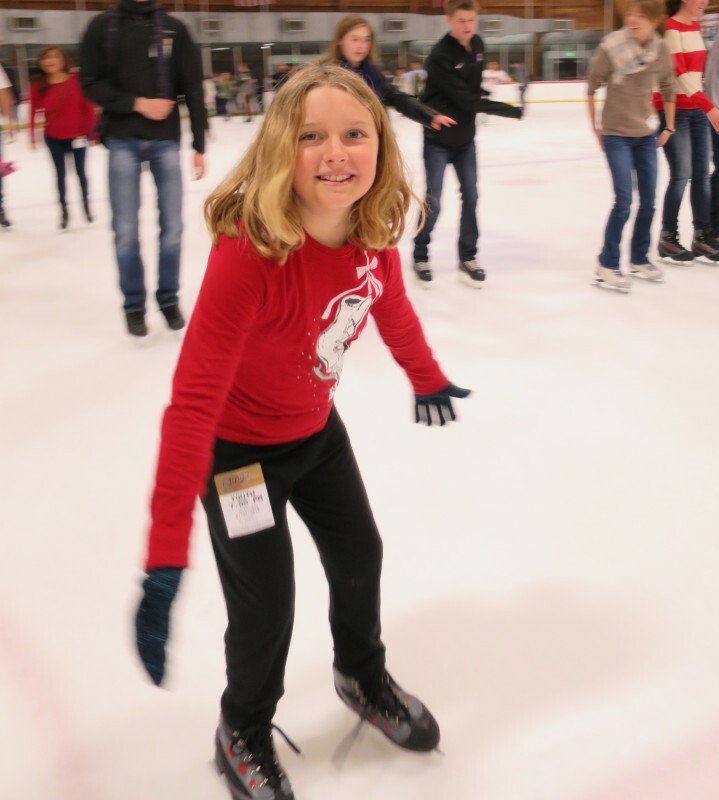 Our friend Indigo turned 16 and for her birthday party we all went ice-skating. 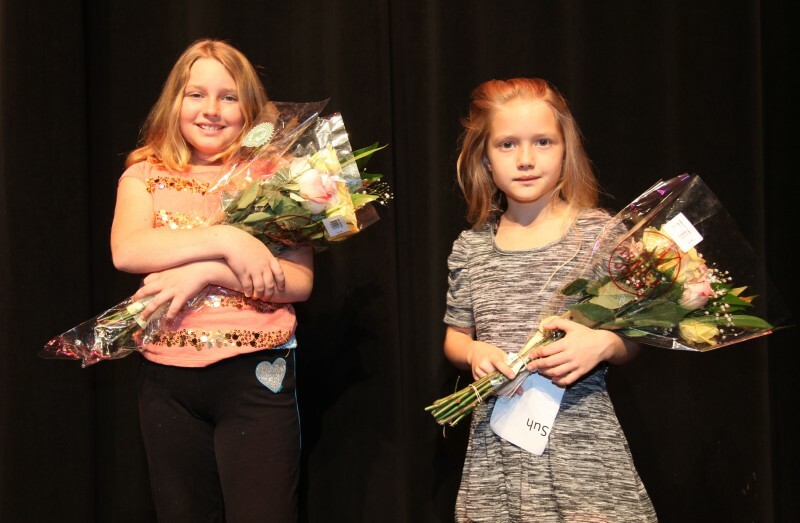 Amelie and Mia did great. Desmond was not doing so hot, so he quit early. 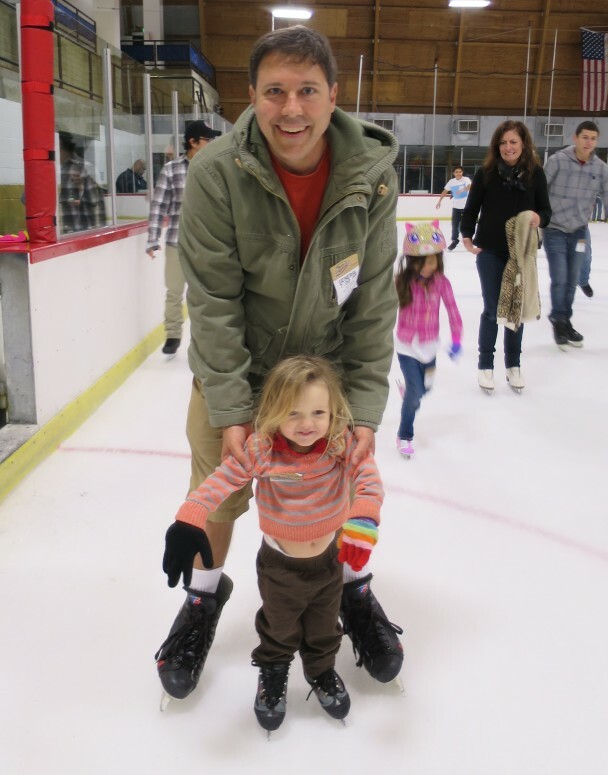 Unfortunately, Miles was sticking with it, at the expense of massive back pain for us! 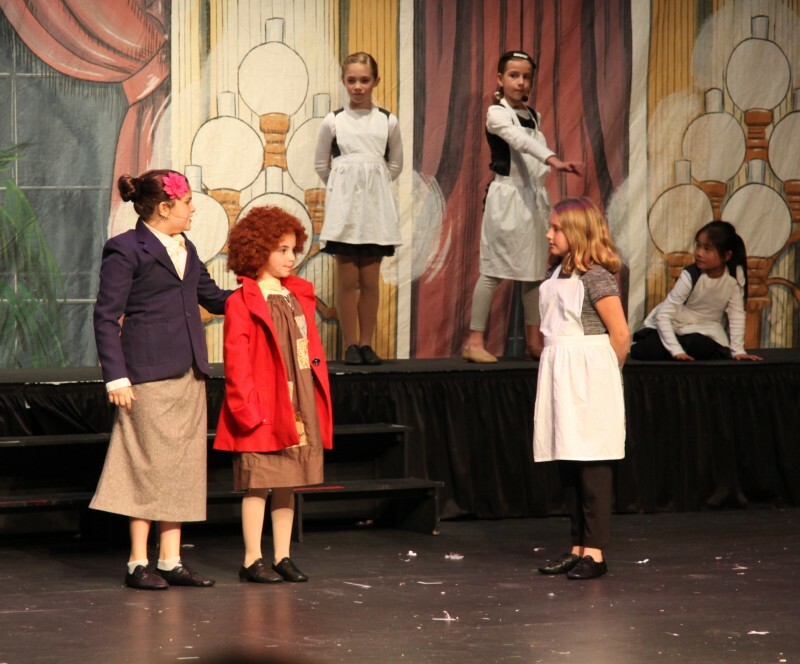 Both Amelie and Mia were in the Jewish Community Center's play, Annie. They rehearsed for about three months and then did two performances. The full video of the play is posted here. This is a short video of one of the songs. They played different roles throughout the play, here they are in the same scene together. Flowers for the two stars. I love this picture. 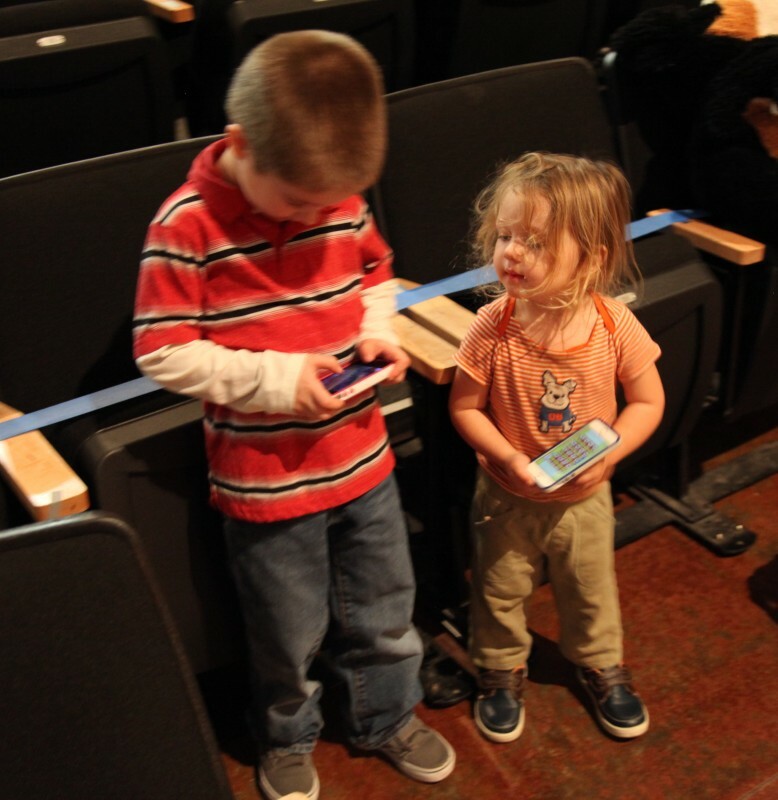 We kept Miles happy during the play by letting him play games on the phone, and another kid came over and they started comparing what each other was doing. Naomi signed them up for a week of free golf lessons put on by the city of LA. The kids really enjoyed it, and because the lessons were during the day, it was all other home-schooled kids with them. 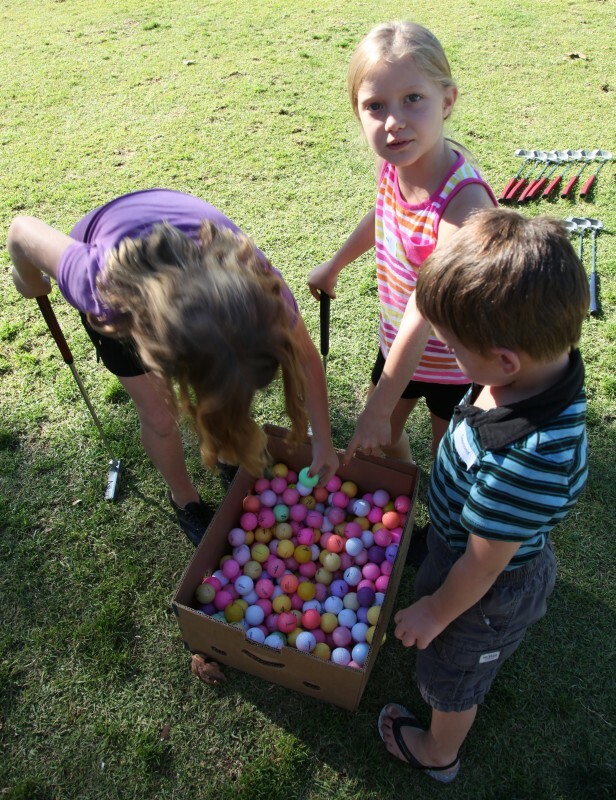 On the last day they had a putting contest, and they were nice enough to let Miles participate. He would putt the ball a couple of times and then just pick it up and drop it in the hole. Incredibly, it was over 90 degrees that day. In the middle of January. 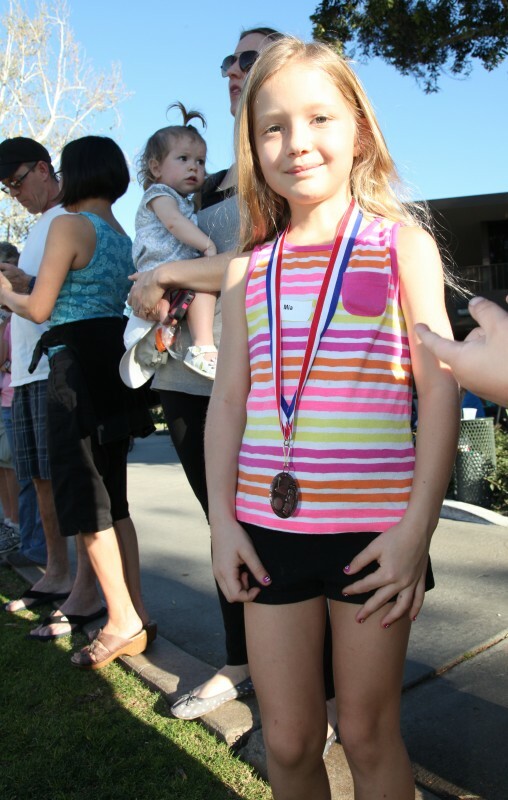 Mia came in third in her category, and Amelie just missed third by a stroke. 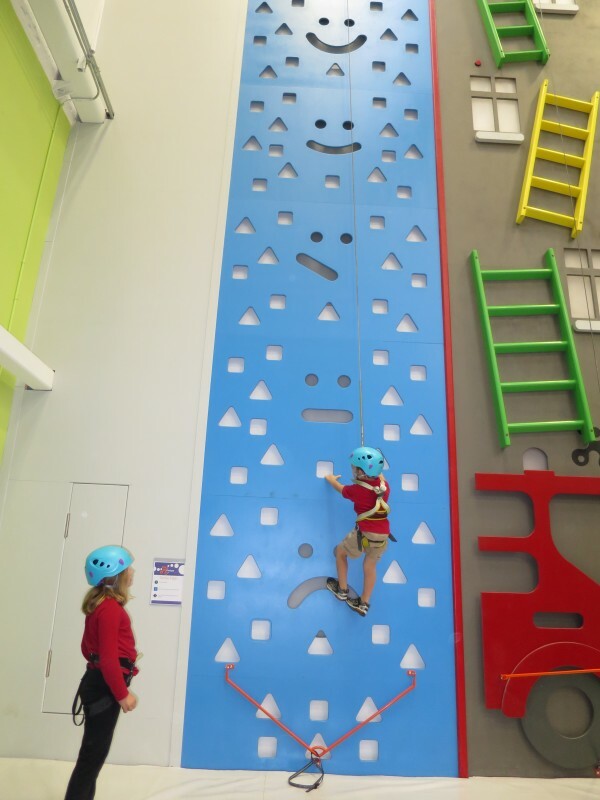 We took the kids to Funtopia at Sender One, and they had a great time. 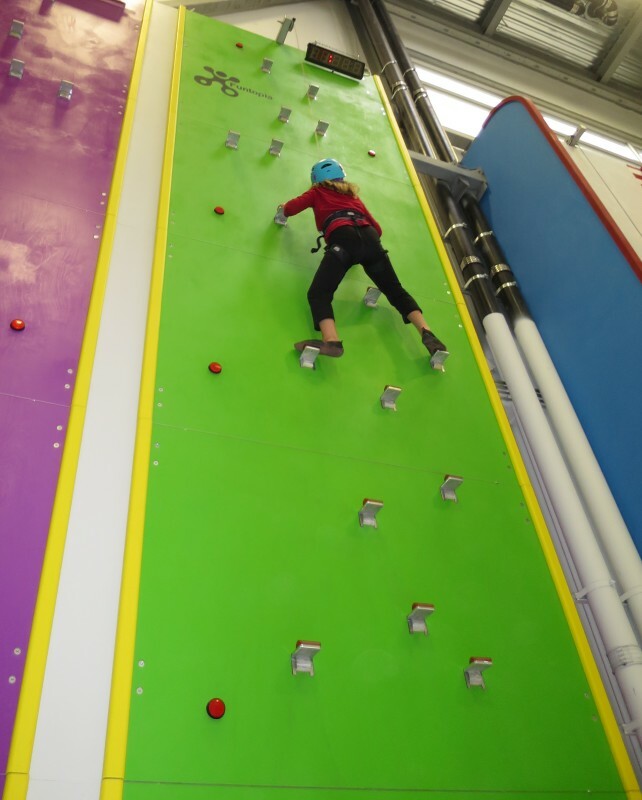 This route lets you climb against another person and as you climb you can hit the red buttons, which folds up the ledges they're climbing on. It's all auto-belayed as well. This is about as high as Desmond got. As you climb, the face changes from sad to happy the higher you go. And as Mia climbs, she can hit the buttons to put out the fire going on behind the window. It's a fun set up. 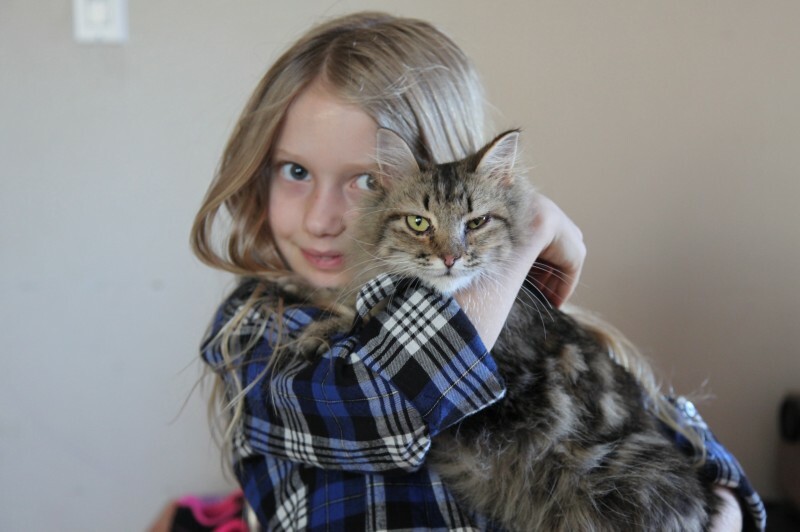 Turning to the latest animal news, Amelie is doing a presentation for her 4-H group on how to adopt an animal from the animal rescue in Orange. 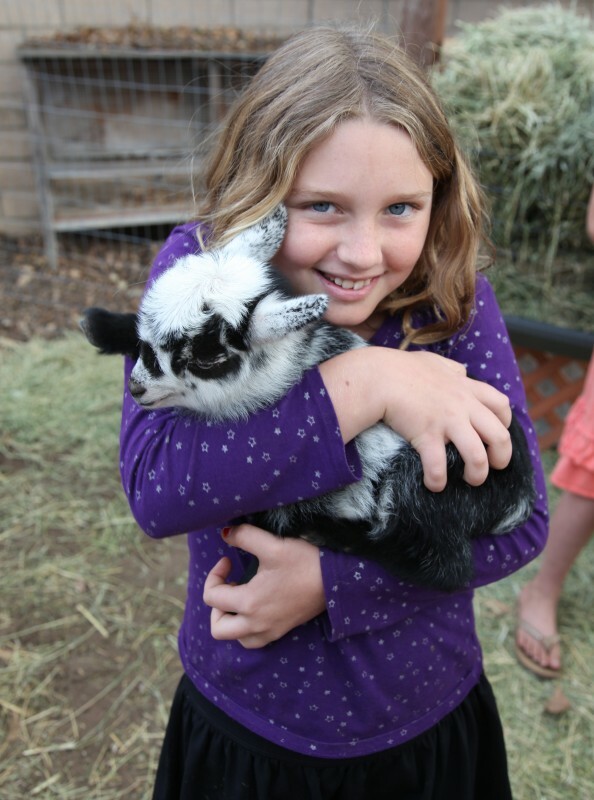 For 4-H, our friend Alyssa is raising goats, and one of them just had a baby. I have to say, it's pretty darn cute. This is the momma and baby goat together. The momma is very easy going about letting us pick up and hold the baby. I built a milking stand for Alyssa, but even with the momma goat's head locked in the stand, it's still difficult to milk her. Naomi went over to give it a try and only got about an ounce of milk. Seems like every month we get more guinea pigs. 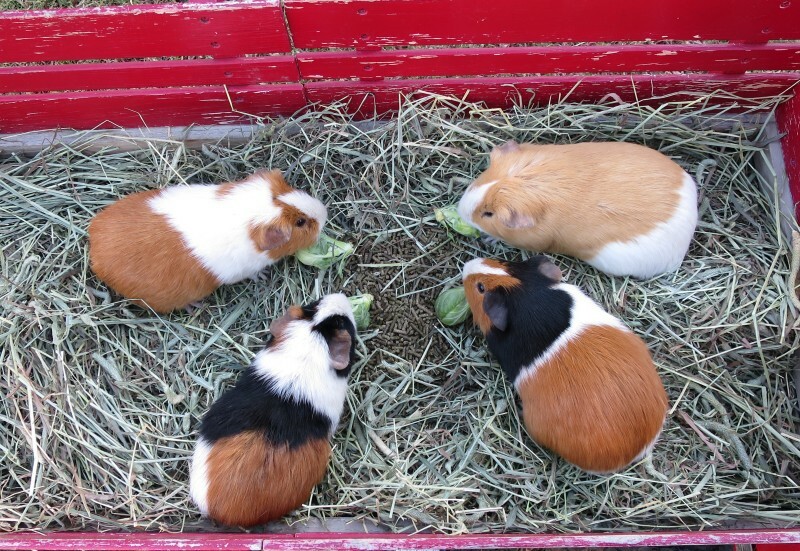 This is because every month we get more guinea pigs. We're up to six guines pigs, four boys and two girls. Of course, we accidentally let a boy and girl together for like one second and now the girl guinea big is having babies any day now. 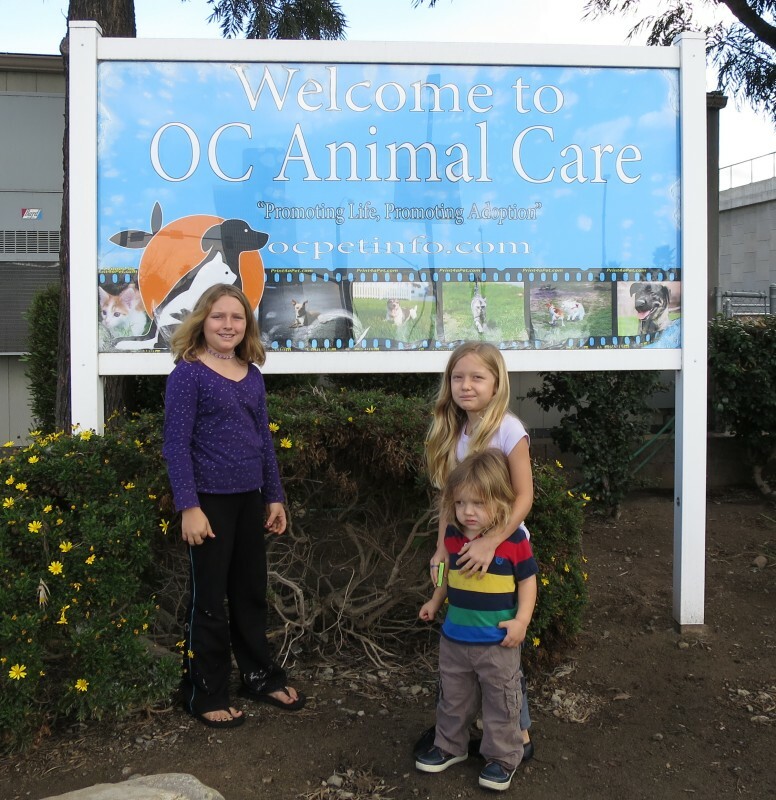 We rescued three cats from the OC animal shelter. They're fine, no trouble really. Dogs are a lot of work, these cats mostly hang out with each other, it's way easier than when we had Sharky. 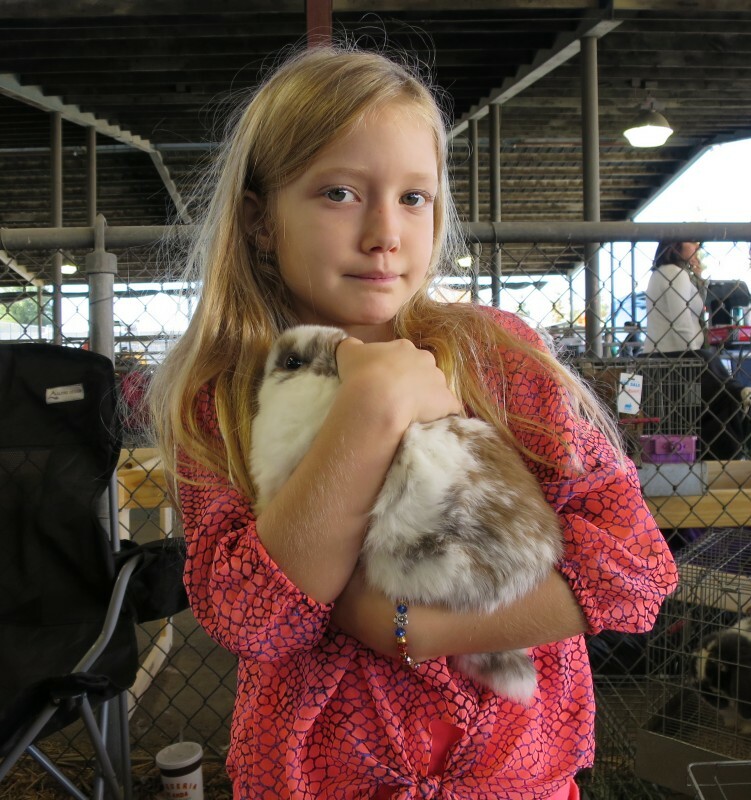 We also got two show rabbits from this 4-H pet show we went to. Eventually Amelie and Mia will show their rabbits. This rabbit isn't one we bought, just one that Mia is petting. We also adopted another rabbit from the OC animal shelter. With the rescue rabbit we already had, that's only four rabbits, which isn't a whole lot. We had six before the coyote cleaned us out. We also picked up three more chickens, but one turned out to be a rooster, so we returned it to the store. 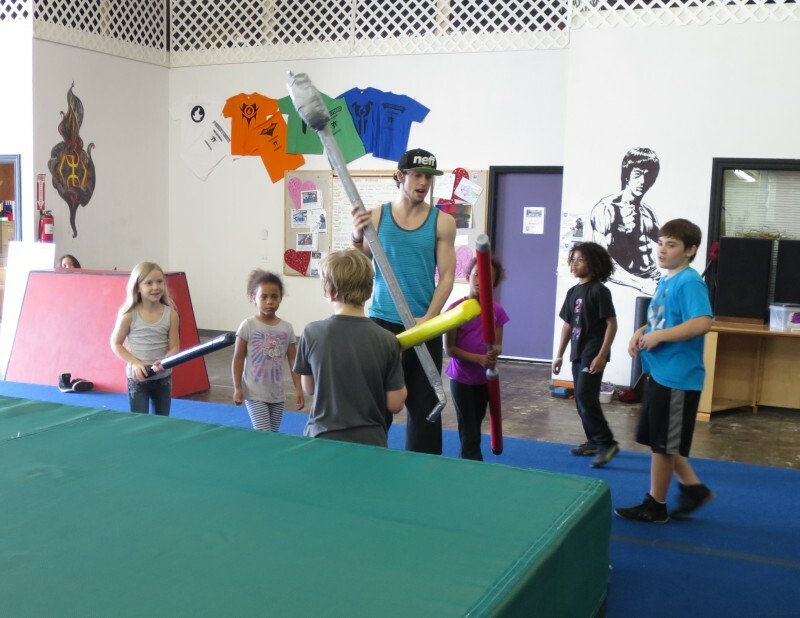 We signed the kids up for a gymnastics class at Firestorm Freerunning and Acrobatics that is more about fun than team sport gymnastics. It's pretty cool to find a gym like that, usually it's all about the traditional gymnastics routines. This is more about parkour and climbing and goofing off. For instance, they play tag and larp, and when you die in larp you have to give your sword up so another kid gets a chance.